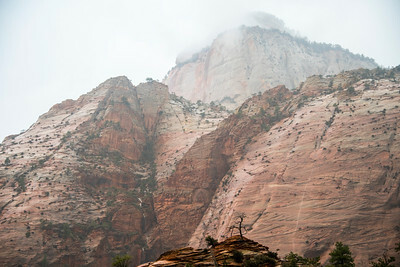 When driving into Zion a massive storm blew in. Fortunately, right around sunset the rain slowed, and the clouds parted creating a visual work of art. I was in sensory overload scurrying around the park trying to capture the beauty. 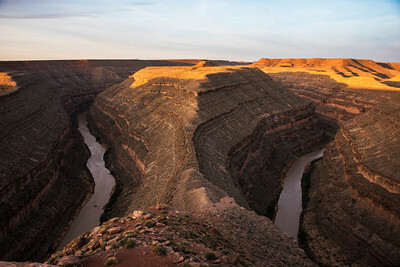 Here's one shot looking down the east canyon. Millions of years of earth crafting this geologic masterpiece. 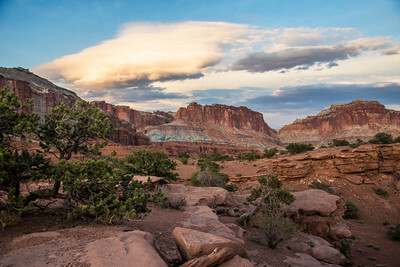 As popular as sunset landscape photography might be, it never gets old. 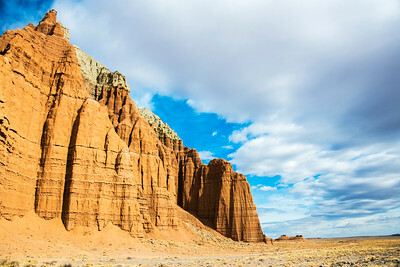 Capitol Reef National Park. 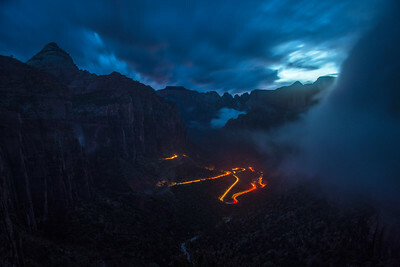 A long exposure as a storm clears and the cars make their way up and down the canyon. 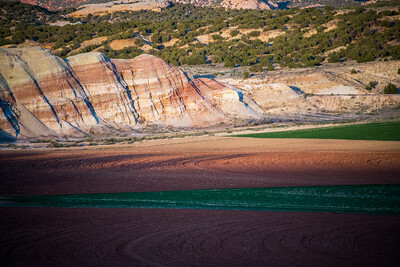 A wonderful Spring desert palette in Dinosaur National Monument in Utah. The real Jurassic Park. 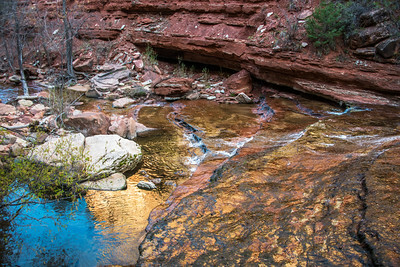 Walking among the ancient fossils embedded in the rocks has the imagination running wild. Desert Subtlety. 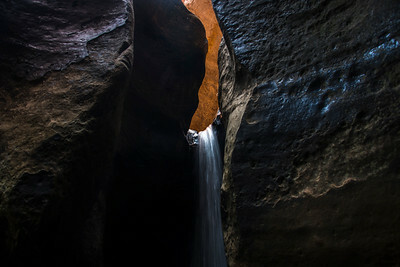 Sunlight delicately glances off a slot canyon in Zion National park before cascading into darkness. 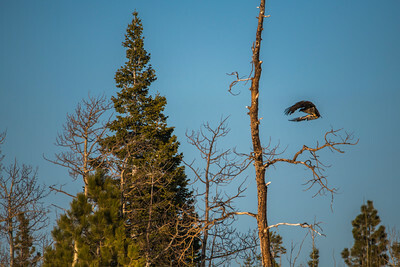 It's more important to click with your surroundings than to click the shutter. You must listen, and kindly ask if you can borrow a moment in time hoping to translate it into meaningful art that transcends reality and connects viscerally to yourself and viewers. The more heart and passion you put into your work, the more rewarding it becomes. Hopefully it resonates, but you should be proud of it regardless. Using your eyes to navigate and sculpt a worldview and craft a vision This photo required discomfort. 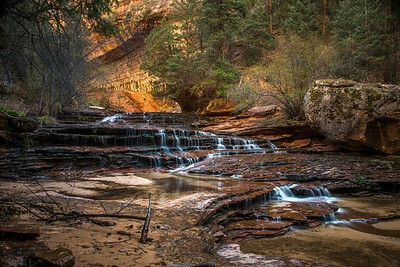 I had to swim through 4 frigid pools of water holding my camera on my tripod above my head and the water. I was in shorts and short sleeves. I then had to stand in chest high water and try and get my tripod to sit balanced on the sandy flood in a dark slot cathedral as mist sprayed my camera and lens. My teeth clattered as I listened and took it all in. Artistically, my brain pondered how to convey this quiet desert scene. I don't say this to try and sound bravado or tough. I say it to further set the scene and illustrate the work that goes behind crafting many photos. In the end, the photo is a product of an experience. An experience that spurs your curiosity and wonder. An experience alone that tunes you into your senses. An experience that has you wanting to stick your head around the next corner no matter how cold or uncomfortable it might be. 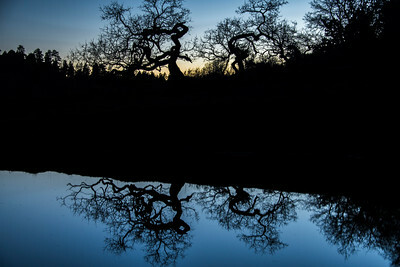 Rather than focusing on depth of fields, you focus on the depths of your feelings. This is where the true artistic power of photography stems from no matter the genre. This is what I strive for. I believe this is the definition of the golden hour. 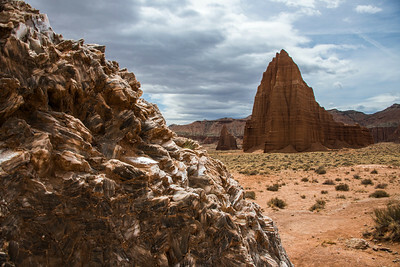 Near Capitol Reef National Park, Utah. 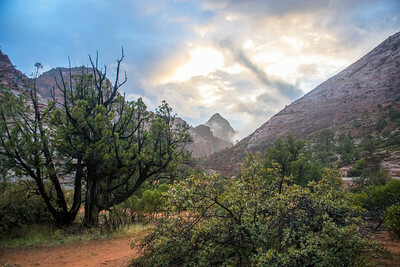 A storm clears off at Zion revealing a beautiful afternoon glow. 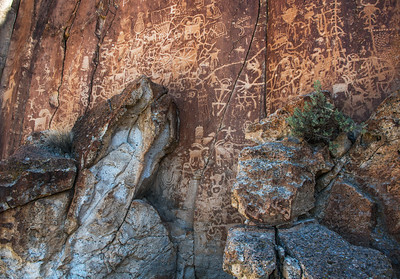 Ancient petroglyphs dating back over 1,000 years at the Fremont Indian State Park. Remarkable to walk among these and try and interpret them. Received one of the finer birthday presents last Saturday at sunrise. 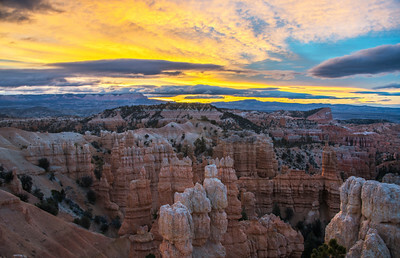 Bryce Canyon putting on quite the spectacle. Just sit back and appreciate what the world has given to me and try to give back the best way I know how. 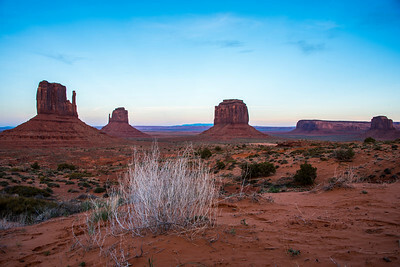 The iconic Monument Valley that straddles the Utah/Arizona border. It's famously depicted in Forest Gump, Easy Rider, National Lampoon's Vacation, Back to the Future Part III and so many more movies. It's hard to snap a "fresh view" of a place that has been depicted 1000's of times. 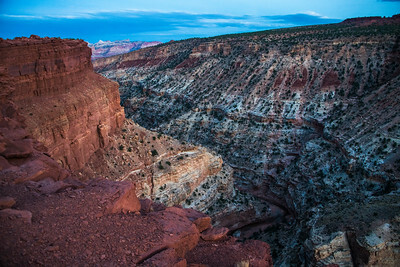 When driving to Arizona, I arrived here around sunset. The road was teeming with RV's and cars and crowds standing in the middle of the road to get the famous shot and taking selfies, jumping shots, laying in the road, etc... I skipped it. It didn't feel special at the time. On my way back home, I drove through around 1a.m. under a full moon. Not another soul around. Finally after about 15 minutes, I spotted a car in the distance. I setup shop in the middle of the road and took a 20 second exposure. A bit dangerous as I had to run off the road as the car quickly approached, but it captured an image that felt right to me. 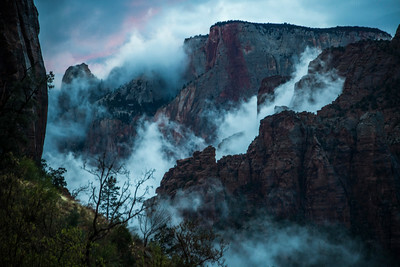 I felt solitude and a certain connection to this magical landscape versus when I drove through during the day with hoards of people. Part of the beauty of photography is trying to snap a photo of an iconic place that is just a bit different than all of the other photos. Further, you feel most alive and wide awake during the hours that the world sleeps. Calm yet energized. The power of water. 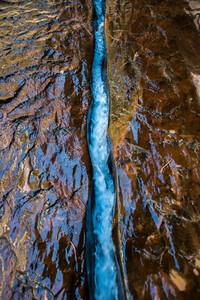 A stream condensed down to a tiny crevice as it cuts through the rock in Zion National Park. Interesting how photography has taught me to chase and appreciate every single sunset. When I see the clouds and light shaping up to put on a show, I stop everything and run to the nearest spot to take it in. 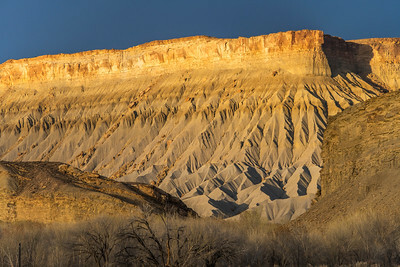 Fortunately, I was able to enjoy this one from a beautiful perch on a bend above the Green River in Dinosaur National Monument, Utah last week. 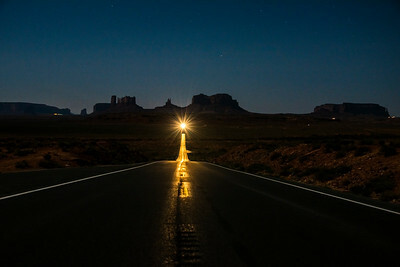 A road near Moab and the La Sal Mountains in Utah leading to nowhere...but really to everywhere. Gateway into the natural world.